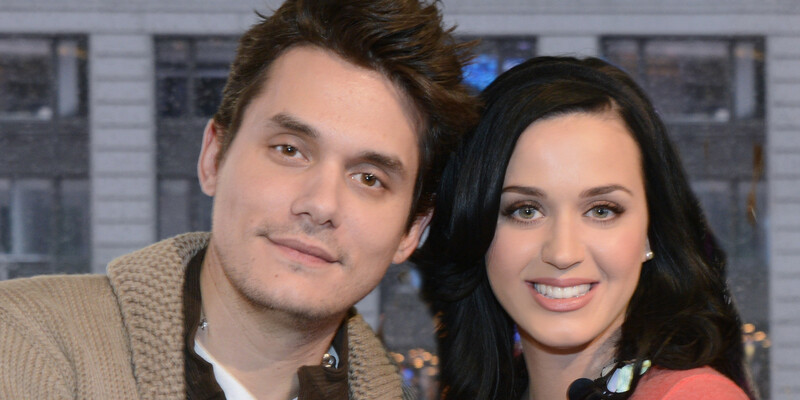 Singer Katy Perry and John Mayer are giving their relationship another shot. Radar reported on Tuesday that an inside source confirmed the singing couple is back together. This might please many of Katy Perry’s fans and critics that believed she and John made a cute couple. However, according to the insider, the news of their recent reunion has not gone over very well with her closest friends. After hooking up at the Four Seasons in Beverly Hills last week, an insider apparently told Radar that Katy Perry and John Mayer were “holed up” in John’s room for several days. The on-again, off-again couple was even seen showcasing public displays of affection while on a dinner date at the Chateau Marmont last weekend. One of the possible concerns that many of her skeptical friends might have is in regards to John’s intentions for the rekindling of their relationship. An insider opened up to Radar about Katy Perry’s mindset as well as John Mayer’s eager pursuit to win her back after he realized that she was moving on without him. Katy Perry had a brief relationship with the popular DJ until he announced that he and his ex-girlfriend were expecting a baby. The Fireworks singer initially started dating John Mayer back in August 2012 and broke up seven months later in March 2013. They decided to try and pick up where they left off in June. However, John’s alleged infidelity may have been the reason why their second chance at lasting love ended nearly eight months after that in February 2014. In an interview with Harper’s Bazaar, Perry openly revealed the epiphany that she had when it came to putting the needs of others over her own needs and the drastic toll that it took on her. With her highly-anticipated Super Bowl halftime performance just weeks away, Katy Perry already has a full plate on her hands. Do you think that she and John Mayer will be able to make it work this time around?